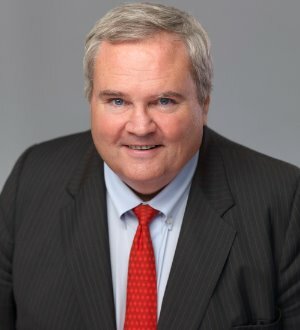 George T. Lewis, shareholder in the Memphis office and chair of the Appellate Practice Litigation Group, focuses his practice on complex business, personal injury, insurance coverage, Consumer Protection Act, health care and class action litigation. He also has extensive experience in the areas of securities and governmental law. He is the former chair of the Litigation Department and the Business Litigation Group. In 2013, the American Arbitration Association added Mr. Lewis to its panel of arbitrators. Mr. Lewis is also a Rule 31 Listed General Civil Mediator. Mr. Lewis served as president of the Tennessee Bar Association from June 2008 through June 2009. In March 2012, Mr. Lewis was appointed by the Tennessee Supreme Court to chair the Tennessee Access to Justice Commission. From 2004 – 2005, he served as president of the Memphis Bar Foundation. From 2012 until this year, Mr. Lewis served as chair of the Mid-South Chapter of the American Red Cross. In 2006, the Tennessee Judicial Selection Commission recommended Mr. Lewis to the governor for appointment to the Tennessee Supreme Court. He has been listed in The Best Lawyers in America® since 2007 in the areas of Appellate Law, Bet-the-Company Litigation, Commercial Litigation, Litigation - Banking & Finance, Mass Tort Litigation/Class Actions - Defendants and Personal Injury Litigation – Defendants, and in Mid-South Super Lawyers in the area of Business Litigation since 2006. In 2007 and 2010, Mr. Lewis was named to the Honor Roll of the American Bar Association Torts and Insurance Practice Section. He was appointed by the governor in 1991 to the Appellate Court Nominating Commission. In 1994, the Tennessee House Speaker appointed him to the Judicial Selection Commission, where he served as vice chair from 1994 to 1995 and as chair from 1995 to 1996. The Tennessee Supreme Court appointed him to the Board of Directors of Tennessee's Lawyers Fund for Client Protection in 1991, and to the Supreme Court Advisory Commission on Rules of Trial and Appellate Procedure in 1999. In August of 2009, he was appointed to the TBA Judicial Conduct Committee. In 2014, he was appointed to the American Bar Association Pro Bono and Public Service Committee. From 1980 to 1981, Mr. Lewis served as law clerk for the Honorable Frank Drowota, Tennessee Supreme Court. While in the joint J.D./M.B.A. program at the University of Tennessee, he served as vice chair, and then chair, of the Moot Court Board. He was also a member of the Securities Law Moot Court Team and Labor Law Moot Court Team.